This is one of my favorite projects I have made EVER. Maybe it is because I used deco mesh for the first time and I love trying new things. Maybe it is because I used burlap and I LOVE burlap. It could be both of those, but my favorite part is the finished product. I love the way it looks and I love the colors. I am very happy with this wreath. I made this wreath for my future sister-in-law. She had a bridal shower and the theme of the shower was around the house. I was assigned the front door and I knew I had to do a wreath that she had been eyeing at Quilted Bear (local store). I love everything about wreaths (I know I talk about it often) and so I was up for the challenge. The only thing that made me a little nervous is that I had never used deco mesh before and I wanted the finished product to be fabulous. Come to find out deco mesh is so fun. There are so many colors, but I stuck with the natural burlap color since I was using natural burlap for the flowers. The colors work perfectly together and I am more than pleased with the outcome. Burlap (I had the plain burlap already. I am not sure where I originally got it. 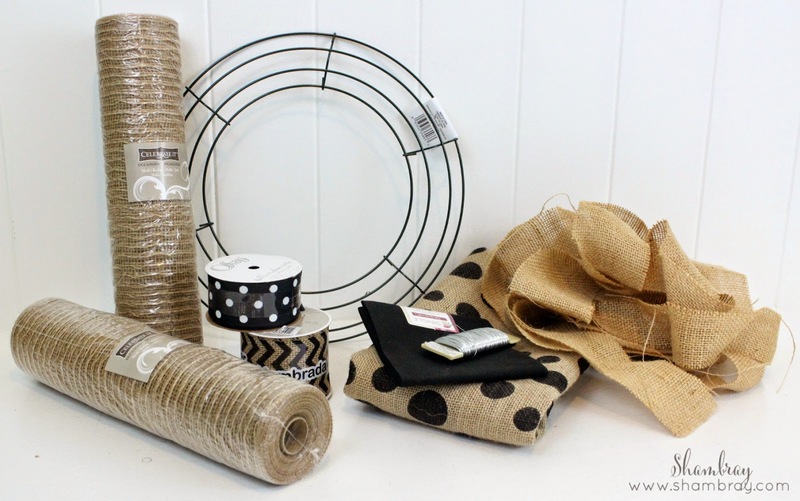 However, the black polka dot burlap I got from Hobby Lobby). I'm in love! 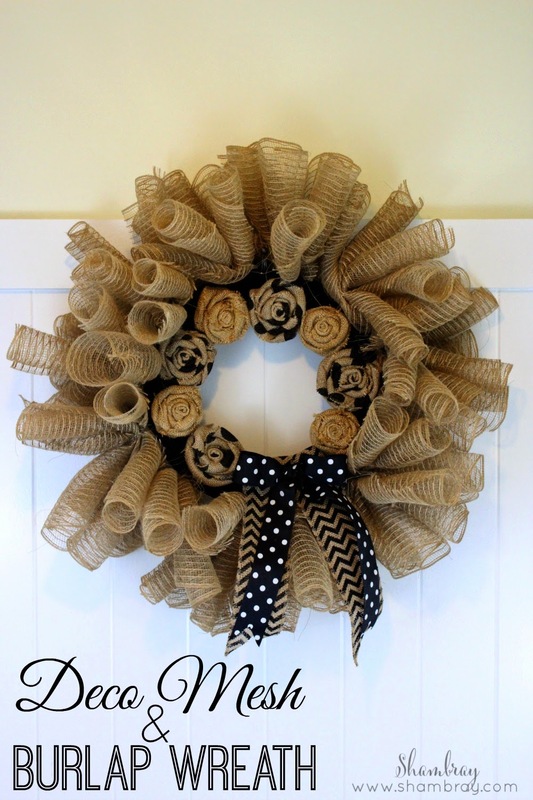 I'm obsessed with making wreaths and this has got to be the next one on my to-do list! The polka dots are my favorite! That turned out so cute. Pinned! I LOVE making wreaths. I should honestly start a business. It would make me happy. I hope you enjoy it when you finish yours! I love the polka dots too! Thank you!